So today I made a dragon roll for the 1st time. I tasted very good too! 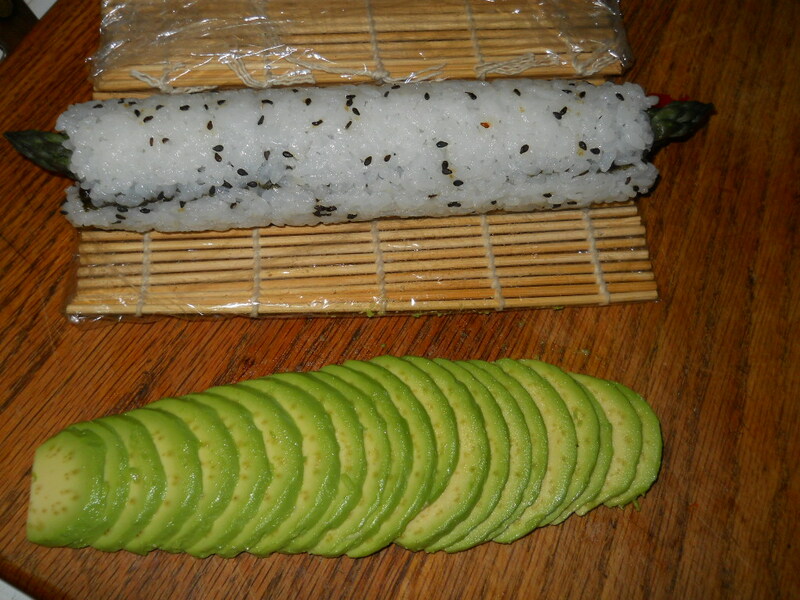 Laid out seaweed,sticky rice w/ black sesame seeds reversed rolled with asparagus, smoked salmon then layered with avocado white sesame seeds Tobiko (flying fish roe) and eel sauce. Wow! That's a really gorgeous presentation, S&P! 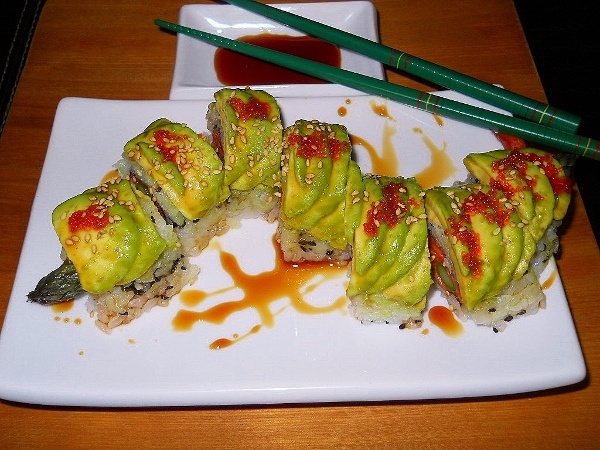 It sounds as delicious as it looks. OMGosh...you're killin' me here, Joey - that looks amazing. I especially like the close up. Thank you Cheryl and all of you. 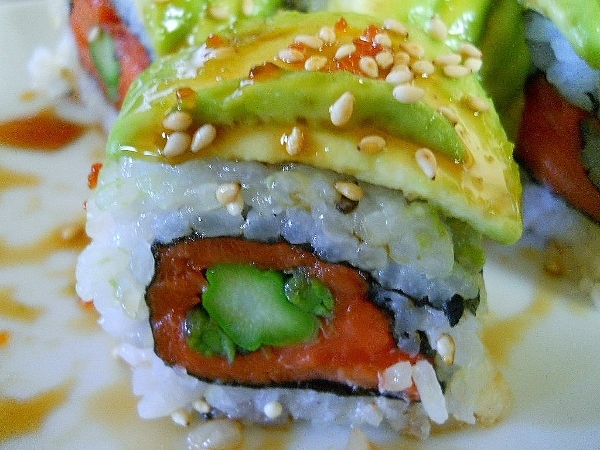 I have eaten Dragon Sushi several times... and you make me want it again!!! Good job! You're making me hungry, SP. 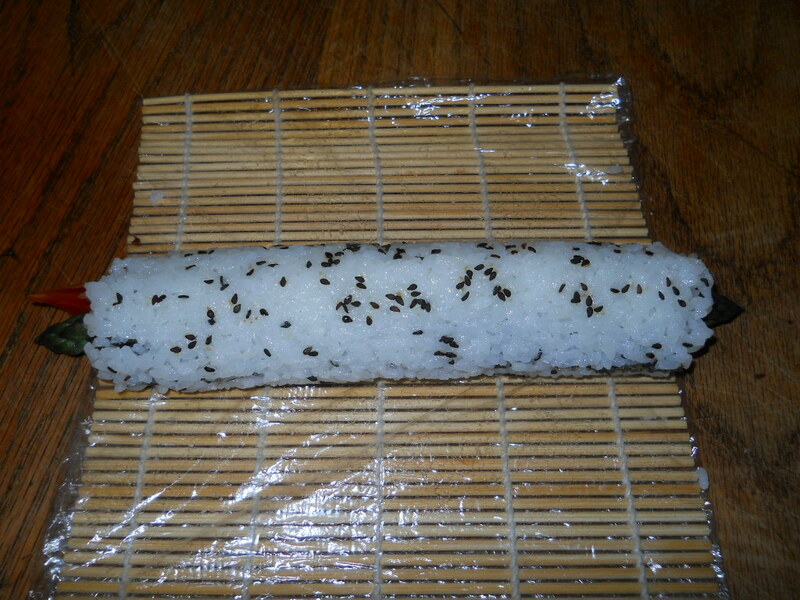 I need some sushi. Wonderful! 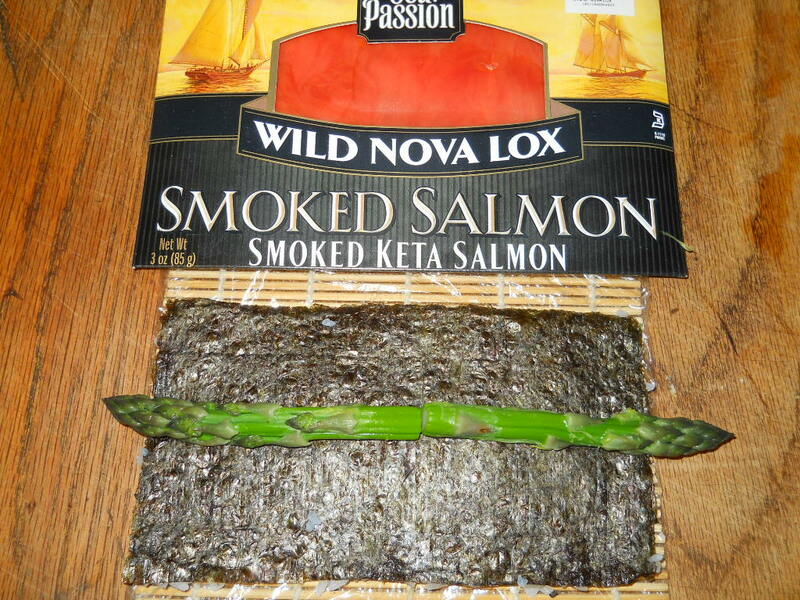 Love the Wild Nova Lox!